Hailed on publication as "an impressive integration of postmodernism and relational psychoanalysis" (James Hansel) and "an intelligent and stimulating account of where the issues of identity, gender, and difference are joined" (Jessica Benjamin), Lynne Layton's Who's That Girl? Who's That Boy? 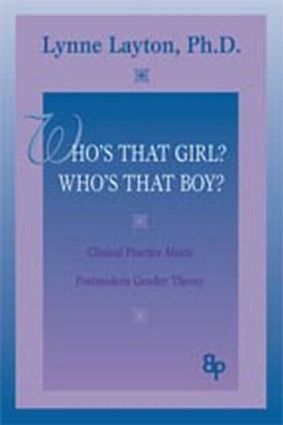 is a major contribution to the postmodern understanding of gender issues. This new edition, under the aegis of the Bending Psychoanalysis Book Series, includes a Foreword by Series Editor Jack Drescher and an Afterword in which Lynne Layton addresses the evolution of her thinking since the book's publication in 1998.